New car prices in Oakville can be daunting to look at, especially if it’s your first time purchasing a brand new vehicle. At Budds’ BMW in Oakville, we make finding new car prices in Oakville less of a daunting experience with our competitive pricing and affordable financial assistance options. Whether it’s your first time purchasing a brand new BMW automobile, or you have a great deal of experience with purchasing new vehicles, Budds’ BMW is here to make your experience purchasing a new vehicle a stress-free and exciting one. We’ve been serving the community of Oakville since 1973, so we understand our customers’ diverse needs. Therefore, we strive to work within the budget of our valued customers to ensure that they drive home in their dream car without having to compromise their lifestyle. Visit our Financial Services menu on our website to gain an idea of how we can best serve you according to your budget and financial situation. For over a decade we’ve been dedicated to giving BMW customers professional and efficient service that will assist you in bringing home the vehicle you’ve always envisioned yourself in. We understand that new car prices are often expensive in Oakville, however we’re here to help you determine a down payment and finance or lease plan that best suits your lifestyle and budget. 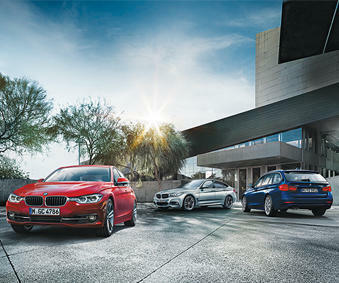 We’re here to help you drive away in your dream BMW. After all, no one wants to see you in a premium BMW automobile more than we do. So, if you’re worried about expensive new car prices, there is no need to worry. Simply book an appointment with one of our financial assistance team members at our Oakville dealership so that we can best determine which vehicle, price, and financing or lease program fits your budget and lifestyle. Whether you’re looking to purchase a vehicle for just you, or you’ve got a growing family, we are confident that we can find the right fit for you. We also offer protection products and packages that are designed to complement your ultimate driving experience. There is no need to worry about new car prices at Budds’ BMW in Oakville, as we’ve got you covered with our financial assistance programs. Get in touch with us at your convenience so that we can help you on your journey to driving your dream car home.